This is the seventh week of our guest blog series to compare other parts of the world while Charlotte is visiting Canada for August & September. Our guests this week are illustrators Che from Paju & Ben from Calgary. This pub is called Jjokki Jjokki's which is written in Korean to look like a smiley face as you can see in the illustration. It is about a 15 minute walk from where I live and they serve delicious icy strawberry pitchers with Soju (Korean rice spirits). They are dangerously delicious. They also serve dried squid as a bar snack. 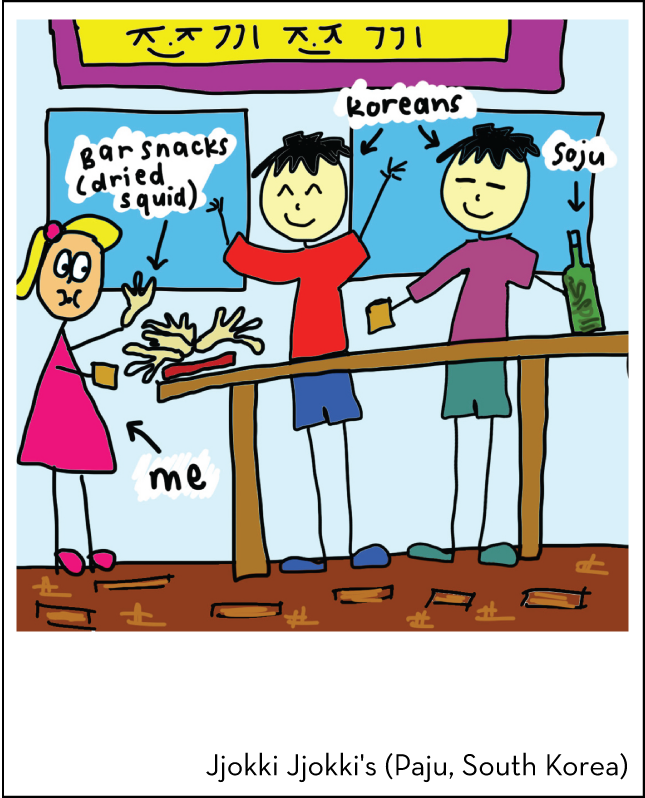 This is me shoving my face with dried Squid and playing drinking games with Korean strangers. Che is South African but is currently living in Paju, South Korea - 40 minutes North of Seoul - teaching English at the Gyeonggi English Village. She has a degree in Journalism specialising in graphic design and loves stationery, doodling, photography and cereal. She explodes things in the kitchen. You can see more of her cartoons on her blog indieBerries or you can follow her on twitter @chekershaw. Welcome to There and Here. 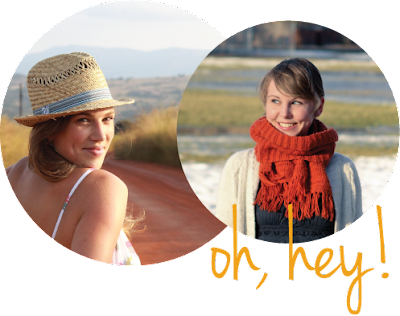 We're Charlotte and Chelsea and this is our collaborative design and travel blog to compare our lives in South Africa and Canada. All content © There & Here. © lovefromthereandhere.com. Powered by Blogger.